Jestico & Whiles Studio’s Signature Space ‘Nuevas formas de vivir’ (‘New ways of living’) portrays the wild spirit of a riverbed. 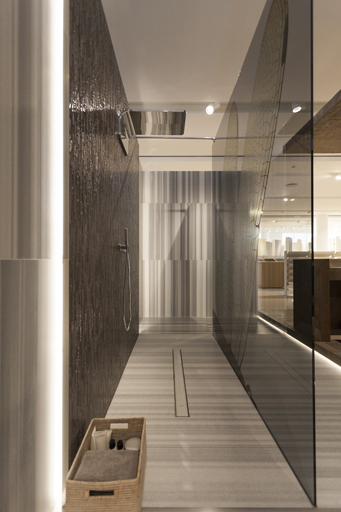 It is a bathroom space designed with L’Antic Colonial natural materials for the firm’s new showroom that belongs to PORCELANOSA Group . Jestico & Whiles break away from the traditional line between bedroom and bathroom with the aim of exploring different ways of space design. Hence, the natural materials themselves are the ones delimiting the different spaces and neither doors nor walls are needed. It is in this bathroom space where the architects’ work is clear. Their choice has been a combination of textures by means of marble, slate and L’Antic Colonial glassy mosaics, including a big-sized dragonfly decorating the glass shower screen. 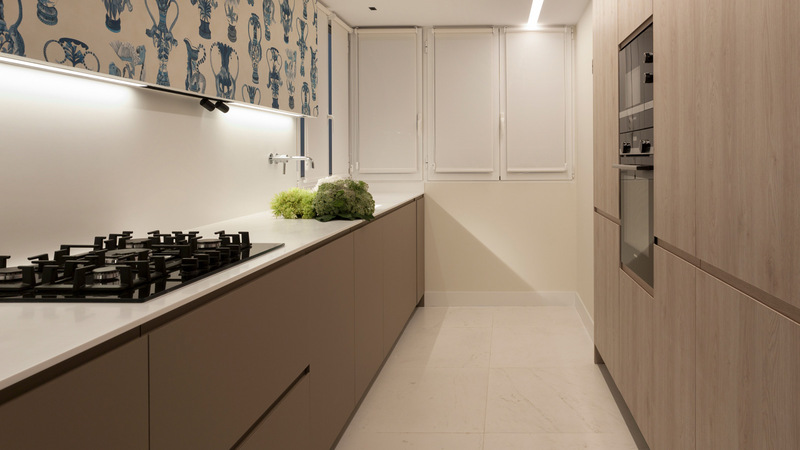 An image depicting fineness and strength, a dichotomy leading the setting design and enhanced by lighting. 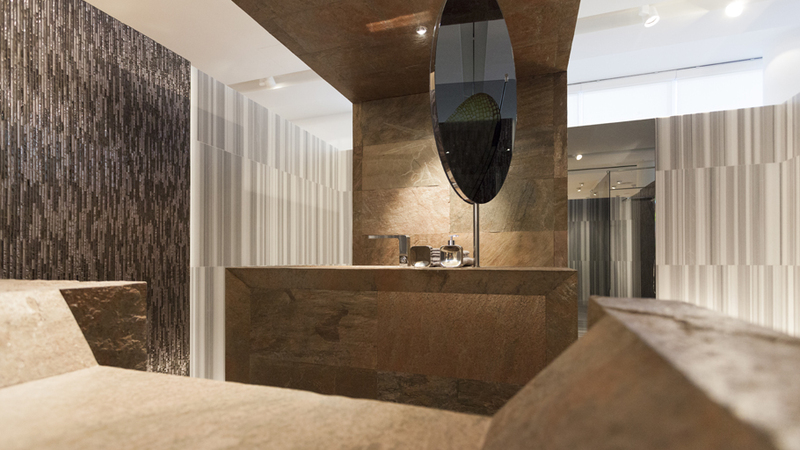 Therefore, the central area dominates the space by means of a combination of slate wall tiles presenting different textures. 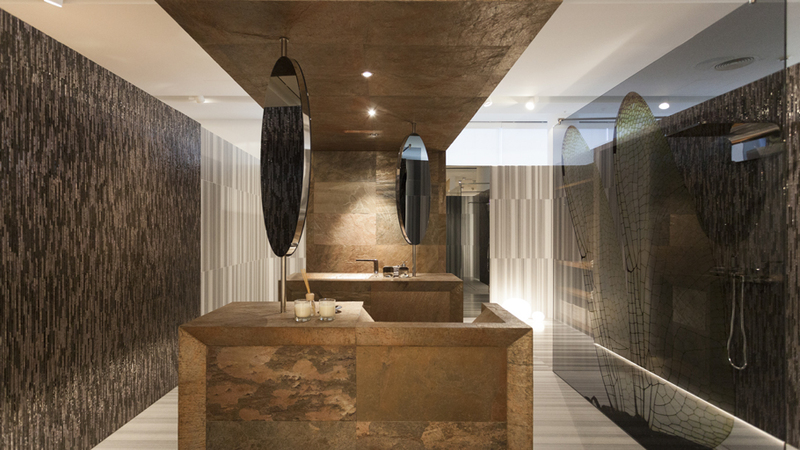 Bombay Natural Home BPT (40x80x1,5 cm format) and the polished version of the same material (Bombay Pulido BPT) have been used on walls and the bathroom’s ceiling area. 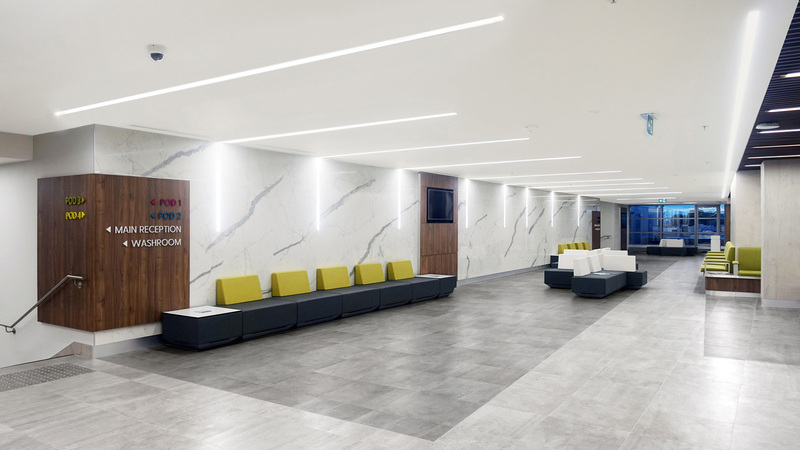 The wall covering of this material is combined together with the Airslate Selection natural stone layer as well as with the Bombay slate model. A highly versatile, light and flexible product which is easy to install on any surface, even in curved wall tiling. These materials have been used with some of the space accessories as well. According to James Dilley – Jestico & Whiles Head of ID Hospitality- , the one coordinating the project, “when stone gets wet, it changes its personality again, in other words, it turns into something more natural. 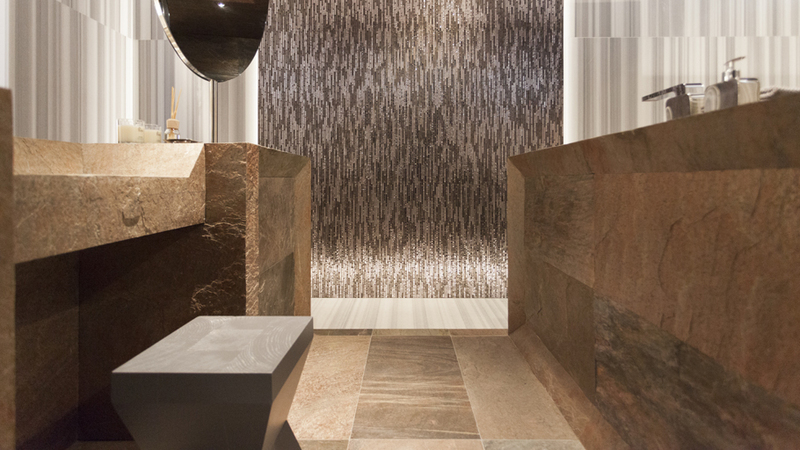 We wanted to bring a piece of the riverbed into this space, so that together with the shower dew and the water that’s about, this stone can get another dimension”. 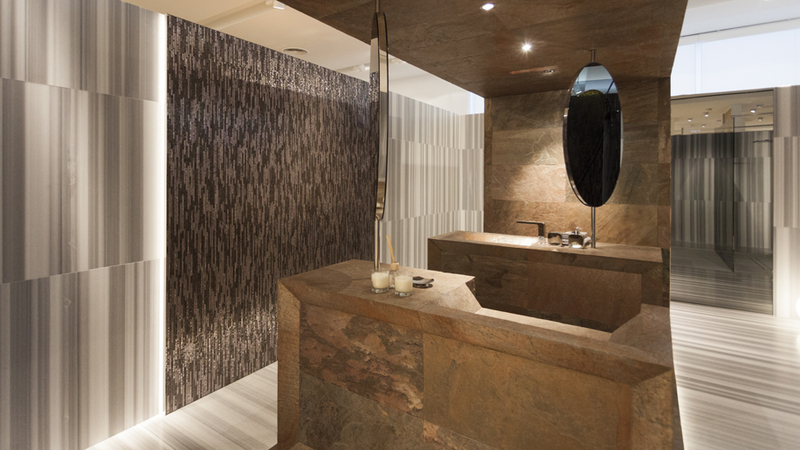 On the other hand, in order to tile the side walls, highlighting the ones in the shower among others, the L’Antic Colonial Harmony Strip Coltan glassy mosaic has been used, highly characterised by its modern-styled shiny look. 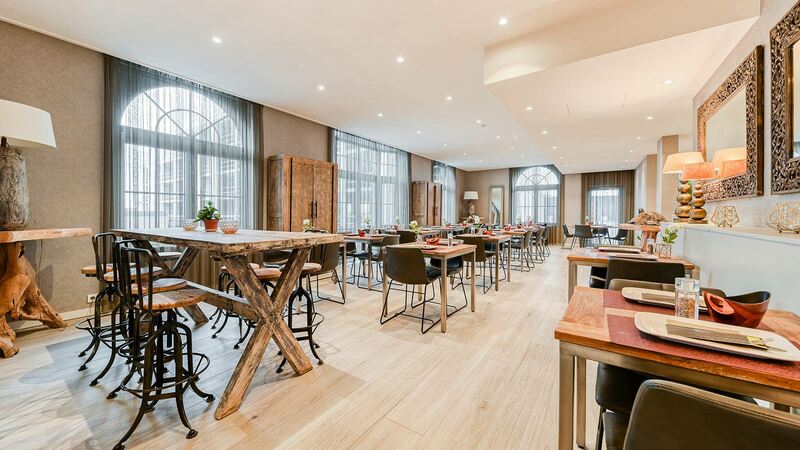 The Tortona 1L Walnut natural wood parquet has been used as well, providing the atmosphere with warmth.